Fiery and unpredictable rhetoric can be a powerful strategic tool, but only if it’s not habitual. Occasionally insanity, real or feigned, has its political advantages — largely because of its ancillary traits of unpredictability and an aura of immunity from appeals to reason, sobriety, and moderation. Rogues often try to appear as crazy as mad hatters — sometimes defined by issuing threats, throwing temper tantrums, saying outrageous things, dressing weirdly, or acting peculiarly. In nuclear poker, the House of Kim in North Korea has welded its supposed hereditary madness to nuclear weapons — to achieve both deterrence and periodic shakedowns of massive foreign aid. Turkish president Recep Erdogan is also a touchy nut. He usually wins an unearned wide berth and political concessions from the West by his offensive habits of saying anything to anyone at any time — in between episodic threats to the West to yank NATO troops out of Turkey, to send along even more Middle Eastern young males from war-torn states into the heart of Europe, or to demagogue Muslim tensions with Israel. Even democratic leaders occasionally adopt the mask of madness for diplomatic and political advantage. John F. Kennedy, during the Cuban Missile Crisis of 1962, openly sought advice from the caricatured Strangelovian (but actually authentic hero) General Curtis LeMay. To his advisers and adversaries, the brinksman Kennedy could pose as receiving wisdom from LeMay — who less than two decades earlier had burned down Tokyo — to ponder a chilling solution. Recall Kennedy’s prior disastrous summit in Vienna, in 1961, with a bullying Soviet premier Nikita Khrushchev: “I’ve got a terrible problem if he [Khrushchev] thinks I’m inexperienced and have no guts.” From that encounter, Kennedy learned that rhetorical gymnastics and judicious predictability earned him only scorn — the brawler from the Stalingrad era assessed him as timid and weak. The Soviet leader, in his own bouts of public buffoonery, was not averse to pounding his fist (or even banging his shoe) on his U.N. delegate’s desk in protest. During the late 1960s and early 1970s, National Security Adviser and later Secretary of State Henry Kissinger sometimes allegedly played the good-cop “voice of reason” to President Richard Nixon’s bad cop and purportedly “mad bomber” persona. At various times, Kissinger sought to convince the North Vietnamese, Arab dictators, and the Soviet Union to deal diplomatically with a sober American Dr. Jekyll such as himself rather than with an unpredictable Commander in Chief Nixon (sometimes playing the role of Mr. Hyde). Somebody as sober and judicious as Ronald Reagan on occasion seemed to follow the beat of a different drummer, thereby reminding foreign leaders that he was no cool, collected — and utterly predictable — Jimmy Carter. Reagan’s hot-mic comic but dangerous nuttery — “My fellow Americans, I’m pleased to tell you today that I’ve signed legislation that will outlaw Russia forever — we begin bombing in five minutes” — purportedly caused an entire Soviet army to go on alert. And perhaps it reminded the Soviets of the radical new American approach to the Cold War. And what did Reagan actually mean in a nuclear age of mutually assured destruction when he announced, “Here’s my strategy on the Cold War: We win; they lose”? The answer, apparently, was for the Soviets to figure out. In contrast, again, as in the case of Jimmy Carter who sermonized constantly on what he would never do, Barack “no drama” Obama seemed to think his predictability and mellifluousness would win empathy and respect (rather than confirmation of frailty) from world leaders — the vast majority of whom came to power through thuggery rather than free elections. The result was a green light for exploitation, not reciprocity for magnanimity, from Russia, China, the entire Middle East, Iran, and radical Islam. In the first few months of the Trump administration, highly respected retired officers, former CEOs, and congressmen, such as Secretary of Defense James Mattis, National Security Adviser H. R. McMaster, Homeland Security Secretary John Kelly (now the president’s chief of staff), CIA director Michael Pompeo, and Secretary of State Rex Tillerson, by design or default, seemed amid the chaos to have found some advantages at home and abroad by translating President Trump’s impulsive pronouncements into diplomatese. For example, NATO members were probably forewarned that they really really should meet their promised 2 percent obligations of defense spending before a mercurial trash-talking Trump went ballistic — and did who knows what? Good administration cops tell our trading partners that they should address their huge surpluses with America, before the raging bull Trump shatters the entire globalized china shop. Trump’s Art of the Deal series often gave the game away with his boilerplate advice for the would-be wheeler-dealer: Remain radically unpredictable and demand far more initially than one would eventually settle for. Trump’s Art of the Deal series of the late 1980s often gave the game away with his boilerplate advice for the would-be wheeler-dealer: Remain radically unpredictable (“sometimes it pays to get a little wild”) and demand far more initially than one would eventually settle for. Bouts of feigned craziness can conveniently evaporate when they have served their purpose and a profitable deal seems to need responsible closing. In general, for the first six months, Trump’s wild ride — rhetorical wars against the deep state, the media, the Democratic-Progressive party, the Republican establishment — has, despite the disdainful assessment of coastal establishmentarians, in truth gained himself some impressive results and, abroad, also put our adversaries sometimes off balance. Trump has assembled perhaps the finest conservative cabinet we’ve seen in 50 years. His initiatives on energy, deregulation, and illegal immigration have surprised even his base supporters. Unemployment is down; corporate profits, economic growth, and Wall Street are up. The same is true with his judicial appointments. Trump’s nocturnal tweets, his unscripted huge campaign rallies, his off-the-cuff remarks to left-wing reporters — all shock and stun, and yet they seemed to have offered political advantages that the proverbial and predictable Washington swamp has never fully appreciated. The key, however, to long-term effective use of political madness, authentic or fabricated, hinges on a few requisites with which Trump now has a rendezvous. Madness must be episodic and seemingly out of character. It cannot be chronic and characteristic. If the latter, it descends into predictable buffoonery. Outcasts such as the late Venezuelan strongman Hugo Chávez or current Philippine president Rodrigo Duterte may have enjoyed popular domestic support for their outrageousness, but they soon grew wearisome internationally and earned chuckles rather than frightened respect. Boris Yeltsin ended up as predictably crude rather than merely fickle. John McCain’s temper tantrums often served no good effect other than to raise questions about his disposition. When Trump grafts his moving orations, such as the Polish or Inauguration addresses, with his mercurial nocturnal tweets, he can appear unsettling to his enemies. Yet when the latter electronic blurts become normal and the former oratory is uncharacteristic, Trump descends into the unserious territory of Silvio Berlusconi. Always being too eager to offend can be as counterproductive as being too predictably zealous to appease. Second, good cops who understand the game are essential. Such a symphony requires behind-the-scenes orchestration, not compulsive impulsiveness. Tweeting a major firing or policy change on the home front might warn North Korea or Iran that Trump does not lose sleep over a tough decision — but the effect is lost when a cabinet officer is quoted as “appalled” or “upset” over the precipitousness of the decision. And when aides have to go public explaining that “the real” Trump is actually a nice guy, the effect is likewise muted — given that they seek to correct the image of a self-indulgent adolescent, not that of a deadly serious commander in chief venting occasional righteous anger. In this regard, the new appointment of the sober and tough John Kelly as chief of the White House staff takes on paramount importance — if he can make use of Trump’s unpredictability for predictable diplomatic and political advantage. Third, madness is always a diminishing asset. At some point, all the good- and bad-cop playacting, and the proper alchemy of restraint and irascibility, must at least occasionally be followed by not just action but meaningful action. Obama ruined his international reputation by not bombing Syria to save gassed children after he’d issued a red line. But he did not redeem his credibility when he precariously bombed Qaddafi out of Libya — given that he perverted a U.N. resolution rather than confirmed a prior ultimatum, and he seemed to whine about his wrong action rather than be willing to right it by sending forces to stanch the terrorist wound he had inflicted. So far, Trump has emphasized his unpredictability by allowing a field general to drop a MOAB weapon in Afghanistan and by bombing a chemical-weapons depot in Syria. But after his military braggadocio and his wild threats to redefine trade and build a wall, Trump will either have to put on a muzzle or follow through on his ultimata. Ranting madly about “making Mexico pay” for the wall will become an embarrassment — unless he quietly slaps a federal transfer tax on the $25 billion in remittances sent annually to Mexico, the vast majority of that sum likely wired by illegal aliens, who in some cases rely on American federal and state entitlements to subsidize their Mexican largesse. The utility of madness hinges on the world’s seeing it as a force for good rather than as self-destructiveness or petty bullying. Finally, the utility of madness hinges on the world’s seeing it as a force for good rather than as self-destructiveness or petty bullying. “Bombing the s*** out of ISIS” is a way of saying that there is no room in civilization for medieval beheaders; yet constantly sending out berating tweets about the gentlemanly and competent Jeff Sessions becomes electronic playground browbeating. Declaring the fired Reince Priebus “a good man” is magnanimous; announcing on Twitter the decision to let him go comes across more as sloppy than as iron-willed. Whispering to the Soviets that Nixon was, in Augustus fashion, railing nocturnally in the White House halls was effective; but Nixon’s shoving an apologetic press secretary Ron Ziegler, for all to see on TV, was a counterproductive tantrum. A clearly upset Reagan nearly lost it when announcing the firing of the air-traffic controllers. But his domestic audience applauded Reagan’s angry pushback against a greedy union threatening the public safety, and his enemies abroad thought he might turn such righteous (and out-of-character) ire on themselves. In the past, Trump’s madness has pulverized his primary GOP enemies as well as Hillary Clinton, who all thought they could shed their Beltway prim personas to climb into his muddy arena and trade blow for blow. As president, Trump’s chaos and erratic rhetoric, when in concert with an impressive cabinet, has sometimes served him well. But if he fails to see that there is an art of madness like his own arts of the deal, then he will soon become wearisome and Berlusconi-like rather than feared and Reaganesque. Let us hope that the principled and experienced John Kelly, in his new role as chief of staff, can maximize the advantages of Trump’s fits of apparent madness by insisting they are calculated and fits — rather than habitual and characteristic. 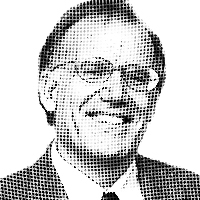 — NRO contributor Victor Davis Hanson is a senior fellow at the Hoover Institution and the author of The Second World Wars: How the First Global Conflict Was Fought and Won, to appear in October from Basic Books.